In 2001, ANEW (A Network of Evansville Women) created the Woman of Action Award. This award recognizes a woman who has exhibited outstanding achievement in volunteer commitment, professional accomplishment or personal accomplishment. 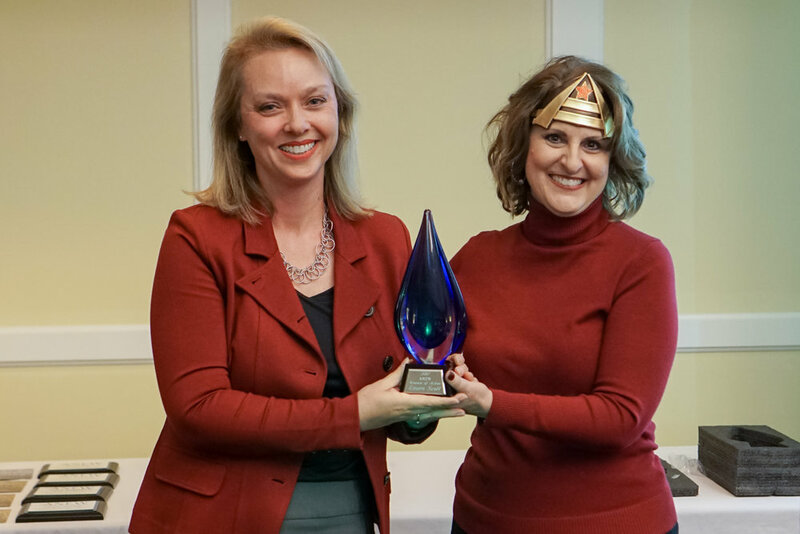 Laura Scott was awarded the 2017 Woman of Action award at the ANEW annual meeting, held on Wednesday October 25th. Laura was nominated for her professional accomplishments in the legal field, including founding Famer Scott Ozete Robinson & Schmitt LLP and serving as its Chairman, many years of involvement in the Evansville Bar Association, her mentoring of women attorneys, and her commitment to diversity in the Evansville legal community. Her nomination also included her many community service commitments including the Southwestern Indiana Chamber of Commerce and Evansville Civic Theatre, Tales and Scales, Evansville Dance Theatre, Arts Council of Southwestern Indiana and Girls in Bloom. Congratulations to Laura on this prestigious award and thanks for all you do to lead our firm and lead in the community.